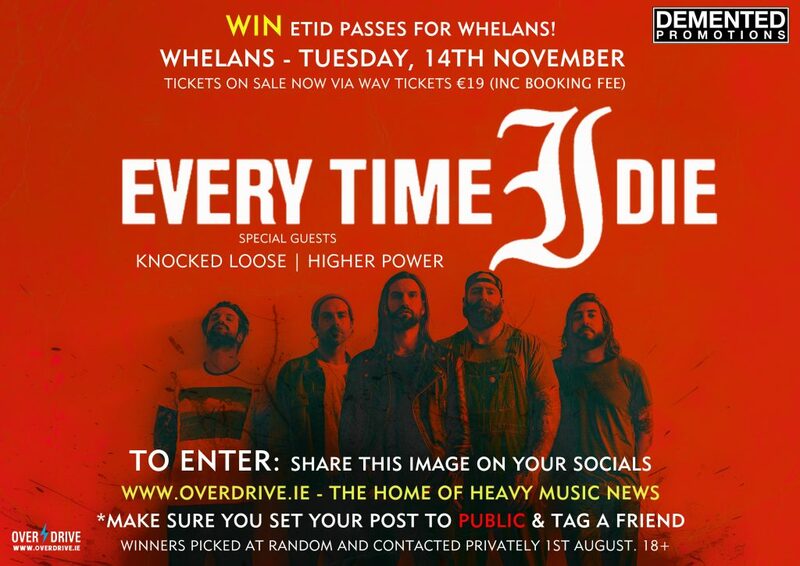 WIN – EVERY TIME I DIE PASSES FOR DUBLIN, IRELAND 14TH NOVEMBER. 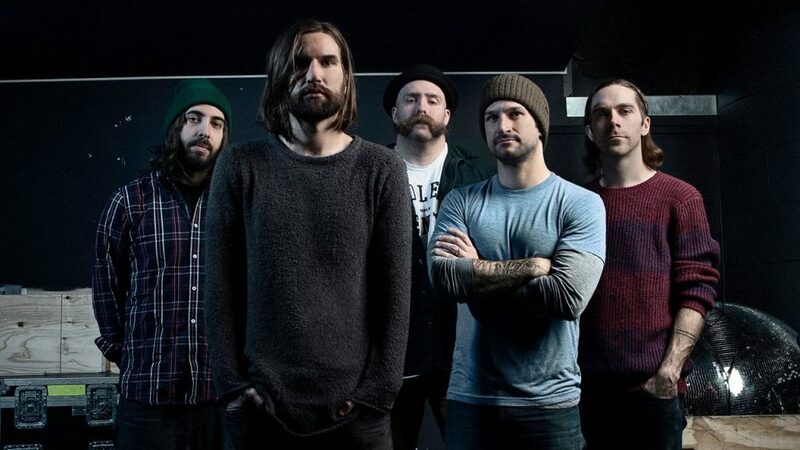 Demented Promotions have confirmed Buffalo, New York metalcore five-piece, EVERY TIME I DIE for one night only in Whelans, in the capital’s city centre. All you have to do to win is follow the instructions below! With their new album Low Teens proving that EVERY TIME I DIE have still got the chops to take a layer of skin off your face, the Buffalo natives will be pulling into Dublin’s legendary Whelans venue, to unleash absolute hell with support from KNOCKED LOOSE and HIGHER POWER. Tickets for this event are on sale NOW from WAV TICKETS which is located in Whelan’s on Dublin’s Wexford Street priced at €19.00 (inc booking fee). Check out the official video below for ‘The Coin Has a Say‘ and if that doesn’t wet your appetite, then you’ve got problems. Please check with Demented Promotions for updates. Official event link here. For your chance to win one set of passes to the show, simply click on the graphic below, like the official Overdrive page and share publically on your social media pages. Finally, tag the friend that you wish to bring to the show, should you be lucky enough to win!